Today is a treat for you. 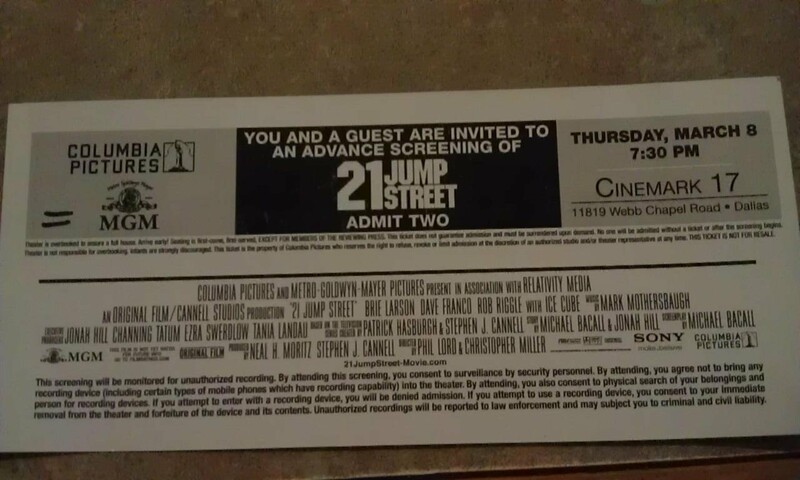 My friend Phil (nicknamed “Megaman”) and his wife scored some advance prescreening tickets to 21 Jump Street. (LUCKY!!) After viewing, they so graciously decided to share their thoughts on this new film coming to theaters this upcoming weekend. Enjoy their review below! Even if someone is not familiar with the original 21 Jump Street series, this attention-getting action/comedy film leaves no questions behind. The plot begins with two opposing high school students that later rely on each other to graduate from the police academy. 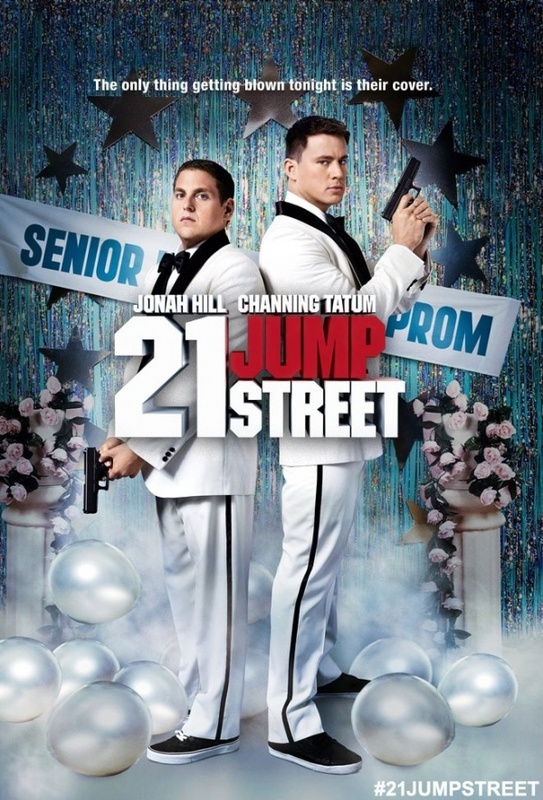 After teaming up and many screw-ups later, the pair land their last hope at 21 Jump Street: a group of young-looking undercover cops, poised as high school students. The two begin life anew as their polar-opposites from high school, in hope of bringing down a synthetic high school drug ring. The adult-themed comedy is a fast-paced story combined with the comically stereotyped ideas of a police lifestyle mixed with plenty of high school dramas. Although some scenes are over-dramatic and obviously unreal, they add to the movie’s over-the-top comical style mixed with the occasional vulgarity. Similar movies would include: The Hangover, Dude Where’s My Car and Bridesmaids. Other things of note about 21 Jump Street: The cinematography added to the “believable factor” as it were, and made you feel like you were there. The soundtrack was appropriate and a tribute to the original series from the 80’s. While sitting amongst the very diverse audience members that took advantage of this advanced screening with us, we noticed that everyone of all ages (both old and young) seemed to enjoy it. A fun re-emergence of a classic series from another time. We give this movie a 3 out 5 stars. Thank you to Mr. & Mrs. “Megaman” for the early review! What do you think? Will you be seeing this during the upcoming weekend in theaters? Let me know in the comments! Thanks for stopping in and reading/commenting. Are you planning on seeing this one? Brilliant! You have given it a similar score to me. We saw it last week at a pre-screening too and our review is going live today!! my friend, thanks for checking out Megaman’s guest review! I missed this comment and will be sure to check out your review this evening! Glad to hear a pretty positive review. I thought this looked pretty damn funny from the trailer! Glad to have you read and comment! Thanks for stopping in! 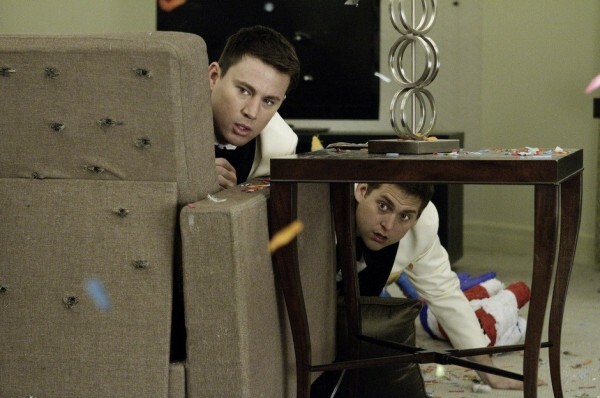 Will you be checking out 21 Jump Street in theaters? or is it a dvd watch for you? haha. Don’t worry Ruth. I am not a fan of this one. Not certain yet if I will be seeing this one in theaters yet. Don’t really plan to, but who knows. A Magnum P.I. film would be awesome though!